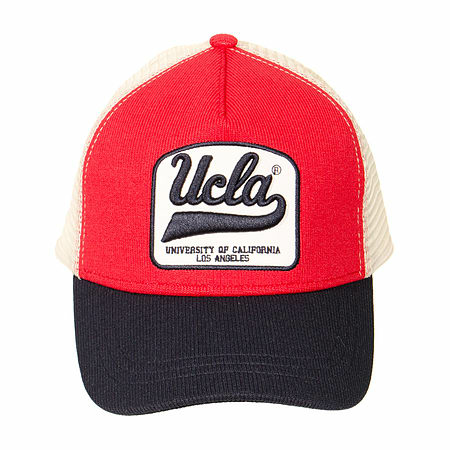 Add the perfect college accessory to your style with this amazing UCLA Trucker Branch Hat in red! This fashionable trucker style cap features the branding of the world famous University California Los Angeles and is ideal forgiving that neat little extra touch that can help make or break an outfit or style. Inspired by the clothing of the UCLA, this cap is ideally suited to students and there's nothing better to wear on university or college campus. 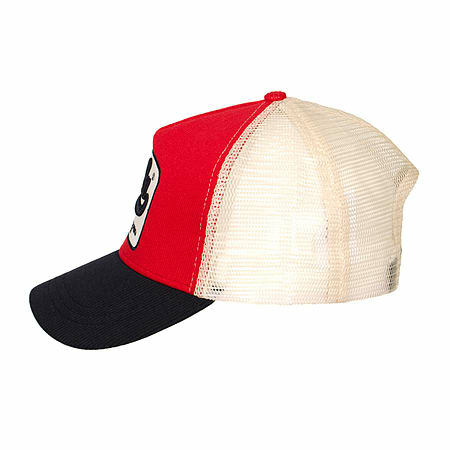 Perfect for causal style, the Branch Hat bears the vintage style of the Californian college fashion brand that's worn by celebrities and even those that don't quite live the idealised student lifestyle. Adding fresh student inspired style to your outfit couldn't be easier with the UCLA Trucker Branch Hat and anyone that wishes they could live the fantasy American college lifestyle will want to get their hands on one right away!